That may be the best way to describe the returning Division I state champions and NXN qualifiers out of Wisconsin this fall. Last season, the boys team, which opens the season ranked No. 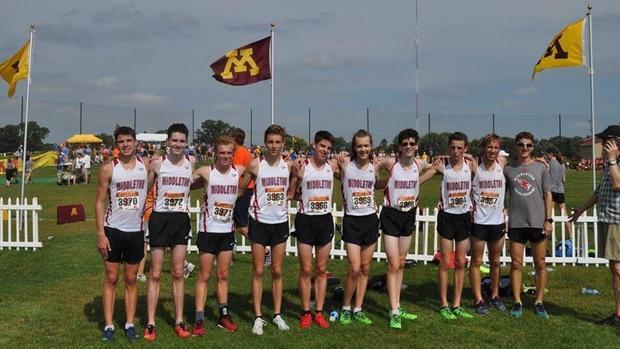 20 on the MileSplit50, won its first state title in 25 years, securing a ridiculously dominant 76-point showing, a 46-second spread and three finishers inside the top 11 at state. But that ride to the top was no surprise. Since head coach Brian Finnel took over the program in 2013, the Cardinals have incrementally moved their way up through the state rankings, finishing 15th, sixth, fourth and third at the state championships before flourishing with a title in 2017. In 2018, their rise will continue with a spot in the national rankings. 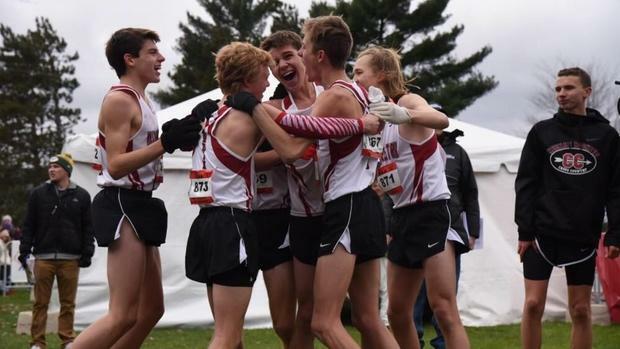 "I think during the season we knew we could get there," said Finnel, whose team was second at NXR Heartland last November to qualify for its first NXN appearance, just the third Wisconsin team to do so in the state's history. "It was a matter of putting all the pieces together." "If you want to be the best team in Wisconsin, or beat some of the best teams in Wisconsin, you have to run six days a week, if not seven." Like any great progression story, it all started with the right plan. Finnel, a 31-year-old science teacher who ran at the University of Wisconsin-Stevens Point, believed consistency was any good cross country team's best attribute. "One of the things I preached was to be consistent," Finnel said. "For the guys, it took a while to figure out. When I first got there, not many people ran in the winter. Some were loosey-goosey. But if you want to be the best team in Wisconsin, or beat some of the best teams in Wisconsin, you have to run six days a week, if not seven." It didn't take long for him to find athletes willing to buy into that concept. One of his first great runners was Hagge Perrin, who was 36th at state in 2015 before continuing his career at Princeton. Two years ago, the squad was led by Gus Newcomb, who was fifth at state before signing with Colorado. "People were willing to do things that were going to help guys who could be the best they could," Finnel said of his teams. "We developed some really strong kids." But last year's squad was the best yet. And fortunately for Finnel, it was young enough to return five of seven. The team graduated just two runners from the team that finished 16th at NXN. The team's top two runners at state, Caleb Easton and Michael Madoch, return in 2018. Finnel has another, senior Roman Ystenes, whom he believes could make the jump toward the top of the state as well. "We're in a position where we can put six guys under 16 flat," Finnel said. "If everyone's at their peak on that (NXR) Heartland course, which is flat, we have a really strong six." Of course, that all hinges on everyone being healthy. Last season, both Ystenes and Jack Rader were forced to work through injuries, only contributing to the team's late-season surge in the final weeks. "Once we got to November and everyone was healthy, we caught some teams by surprise," Finnel said. "Getting everyone on the same page was important." While Finnel is no novice to coaching, he said he's learned something new every year. He's a big proponent of avoiding overtaxation during the early stages of the season. A few years back, he said, he had a triathlete who got into speed too early, then started to struggle late. "As a coach, I learned that," Finnel said of that earlier experience. "At the beginning of the season he was on fire, but when October rolled around, the wheels were coming off." Nowadays, Finnel looks at individual workouts and tends to pull back athletes who are racing more on feel than on the plan for that day. "If we're doing 5-flat repeats and they come in at 4:51 or 4:52? It sounds good, but for me I'm thinking, 'How many matches are you burning in a workout that might correlate to a race?'" He added: "It's OK to do less, as long as we spin it the right way." Along with taking cautious measures with workouts, Finnel has meticulously planned his varsity runner's meet schedule as well. "They know they can do it. There isn't necessarily pressure to do it, but they're excited to try. I think they know they're at that level and want to prove it." Of the 73 boys on the team's roster--the highest ever--he has about nine runners who could make a play for the top seven and a few more who will work toward elevating to that level. He has at least 15 boys who could compete in races when the top seven need rest. And then there's the team top seven, perhaps the best group of boys the team has ever fielded. Easton will run at the Woodbridge Cross Country Classic in September--shooting for a very fast time on a fast 3-mile course--before returning to the Roy Griak Invitational two weeks later. Finnel believes Easton might be able to give Wisconsin's best runners--Drew Bosley and Matthew Meinke--some competition at the top of the state. A year ago, the now-senior was eighth at state and 20th at Heartland. Near the open of the season a year ago, the team finished sixth at Roy Griak, behind programs such as Wayzata and Edina. But that didn't worry Finnel one bit. "I felt like that was a big step forward for the program," he said. "We got to compete against some of the best teams from the Midwest and Great Oak. We came in with the right mindset." Middleton is cautious, then, not to take a step back. If the team is growing up, Finnel knows they'll have to continue striving for bigger and better goals. Yet again, the team has thoughts on qualifying for NXN. "The guys are really excited," he said. "They know they can do it. There isn't necessarily pressure to do it, but they're excited to try. I think they know they're at that level and want to prove it."